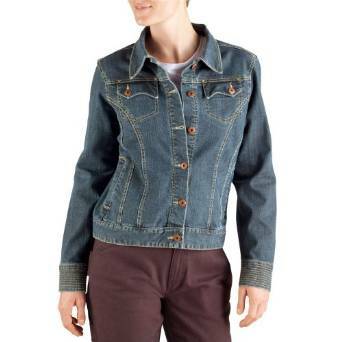 The denim jacket is already a continuous and constant presence in all women’s wardrobes. It became so popular that it can’t miss from any woman’s closet. For sure everybody knows that maybe their most important characteristic is that they are very versatile. Indeed, they can be matched with other pieces of outfit very easy and can be worn on many different occasions. If you are bold you can try even some nonconformist outfits but extremely chic at the same time. Wear the denim jacket with a white dress, made of laces for a romantic look or with a pair of denim shorts if you want a more sensual one. Still, if you want a more casual and relaxed look, wear it with a pair of jeans (or corduroy pants), a T-shirt and sneakers. Wearing denim from head to toe was out of style a while ago but now it is one of the most appreciated trends. If, for example, it happens to be a chilly spring day, you can wear a denim jacket over a long sweater and a pair of tights. Do not limit yourself to wear a denim trucker jacket only during the day. You can also wear it during the evening. Try combining it with a conical skirt and a pair of stilettos or platform wedges. 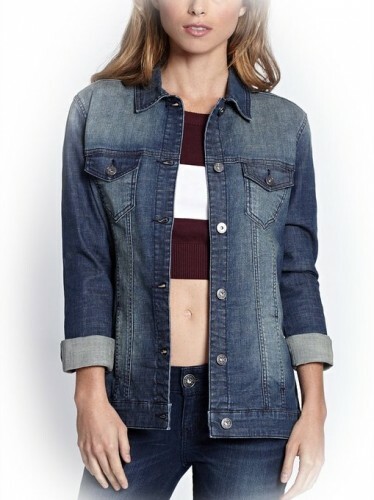 Because the denim jacket doesn’t require some specific colors from the rest of your outfit, because it is very easy to take care of and has a huge durability, because it is very chic and highly adaptable, for all these qualities, the denim jacket is a staple piece of outfit for a casual wardrobe. Investing in a denim jacket which you can wear on various occasions and can be easily accessorized is a very good idea. This type of jacket can be worn from Monday morning at the office (if your company’s dress code allows it of course) to Sunday morning when you go for your groceries. Spring seems to be the perfect season for such a jacket, but, due to its versatility, it can be worn in all seasons if the weather and outfit combo allows it. The denim jacket looks good in almost any outfit combo, being able to be worn almost anywhere, anytime. If you still don’t have one in your closet, you should definitely write it on your next shopping list.